Designed to help horophiles of all levels discover new brands and build interesting and varied collections, American subscription service Watch Gang will deliver a new timepiece to your door (or dock) each month that can be valued up to five times more than your membership fee. Watch Gang offers four membership levels, starting at $29/month for the original membership and going all the way up to $1,000/month for the invite-only Centum tier with timepieces usually coming from small but good quality brands such as Dufa, Armand Nicolet and Maurice LaCroix. Although members don't choose the watches they will receive, Watch Gang typically offers three watches each month so, once you've signed up and chosen your tier, members are invited to answer a number of questions about their style preferences to help match them to the best watch. And if you're still not a fan? Watch Gang has created an avid online community of watch lovers willing to trade. A monthly subscription to Watch Gang ranges from $29 to $1,000. Designed to help horophiles of all levels discover new brands and build interesting and varied collections, American subscription service Watch Gang will deliver a new timepiece to your door (or dock) each month that can be valued up to five times more than your membership fee. Watch Gang offers four membership levels, starting at $29/month for the original membership and going all the way up to $1,000/month for the invite-only Centum tier with timepieces usually coming from small but good quality brands such as Dufa, Armand Nicolet and Maurice LaCroix. Although members don't choose the watches they will receive, Watch Gang typically offers three watches each month so, once you've signed up and chosen your tier, members are invited to answer a number of questions about their style preferences to help match them to the best watch. And if you're still not a fan? 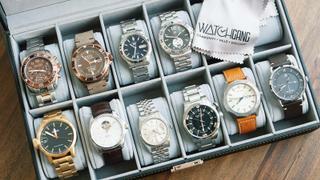 Watch Gang has created an avid online community of watch lovers willing to trade. A monthly subscription to Watch Gang ranges from $29 to $1,000. Berry Bros & Rudd, the London based fine wine specialist, has over 300 years experience and an extensive collection of 5,000 wines, so whether you are just developing your tastes or are an established oenophile, its Wine Club offers the perfect opportunity to hone your palate. Berry’s Wine Club has four levels to suit different tastes starting with Bourne, a mixed case of delicious everyday drinking wine, all the way up to the luxurious Wellington case made up of refined wines and coveted vintages. 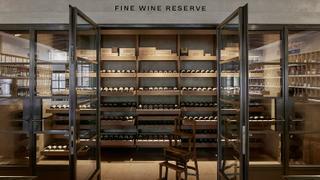 The bottles are each accompanied with expert tasting notes, serving directions and suggested food pairings. A monthly subscription with Berry Bros & Rudd starts from £120. Berry Bros & Rudd, the London based fine wine specialist, has over 300 years experience and an extensive collection of 5,000 wines, so whether you are just developing your tastes or are an established oenophile, its Wine Club offers the perfect opportunity to hone your palate. Berry’s Wine Club has four levels to suit different tastes starting with Bourne, a mixed case of delicious everyday drinking wine, all the way up to the luxurious Wellington case made up of refined wines and coveted vintages. The bottles are each accompanied with expert tasting notes, serving directions and suggested food pairings. A monthly subscription with Berry Bros & Rudd starts from £120. 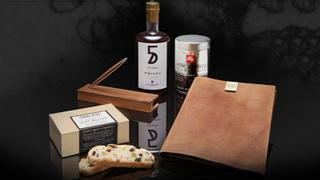 Developed with discerning gentlemen in mind, Robb Vices curates monthly lifestyle boxes aimed to surprise and educate. Each month takes a disparate theme, such as 'Italian Design' or 'Melted Romance', and offers a range of related products including fine wines, spirits, accessories, gadgets, gourmet foods and more. Recent products have included a George Jensen champagne sabre, Groth 2013 Cabernet Sauvignon, Forever Pininfarina Cambiano pen and Don Ciccio & Figli Cinque Aperitivo. Available in monthly or six-yearly subscriptions, Robb Vices also offers a special quarterly cigar box boasting high quality cigars and accessories to enhance the experience of the already confirmed cigar aficionado. A 12-month subscription to Robb Vices starts from $99.95 per month, Cigar Box subscriptions are $389 for four boxes. Developed with discerning gentlemen in mind, Robb Vices curates monthly lifestyle boxes aimed to surprise and educate. Each month takes a disparate theme, such as 'Italian Design' or 'Melted Romance', and offers a range of related products including fine wines, spirits, accessories, gadgets, gourmet foods and more. Recent products have included a George Jensen champagne sabre, Groth 2013 Cabernet Sauvignon, Forever Pininfarina Cambiano pen and Don Ciccio & Figli Cinque Aperitivo. Available in monthly or six-yearly subscriptions, Robb Vices also offers a special quarterly cigar box boasting high quality cigars and accessories to enhance the experience of the already confirmed cigar aficionado. A 12-month subscription to Robb Vices starts from $99.95 per month, Cigar Box subscriptions are $389 for four boxes. Even for the sartorially savvy, finding the perfect tie can be tricky. Do you go for printed or plain? Knitted or silk? Hermes’ new subscription service, The Tie Society, will help answer these essential questions and provide members with meticulously matched neckwear every month. In order to join the club, prospective members fill out a questionnaire that gives an insight into their style, indicating colour preferences, ideal lengths and favoured patterns. Hermes’ specialists will then arrange for a custom selection of their ties to arrive at your door. Subscription options vary between receiving a new tie every month, every other month or once a quarter. The service not only helps members build an exquisite collection but also includes benefits such as free delivery, expert laundering, tie repairs and reshaping and exclusive access to events at the flagship Madison Avenue store in New York City. Subscriptions to the Hermes Tie Society start from $180. Even for the sartorially savvy, finding the perfect tie can be tricky. Do you go for printed or plain? Knitted or silk? Hermes’ new subscription service, The Tie Society, will help answer these essential questions and provide members with meticulously matched neckwear every month. In order to join the club, prospective members fill out a questionnaire that gives an insight into their style, indicating colour preferences, ideal lengths and favoured patterns. 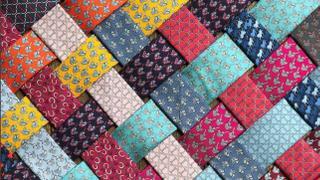 Hermes’ specialists will then arrange for a custom selection of their ties to arrive at your door. Subscription options vary between receiving a new tie every month, every other month or once a quarter. The service not only helps members build an exquisite collection but also includes benefits such as free delivery, expert laundering, tie repairs and reshaping and exclusive access to events at the flagship Madison Avenue store in New York City. Subscriptions to the Hermes Tie Society start from $180. Annual summer superyacht charter not quite enough to help you get your fill of the Med? High-end service Luxe Provence promises to bring you the best of the Mediterranean with its two subscription packages. The first, Mediterranean Gold, is available quarterly or biannually and includes a piece from Luxe Provence's own holiday-ready clothing line alongside luxury beauty products, accessories, homewares and produce all hailing from the Mediterranean coast. Alternatively, opt for the artisanal candle subscription service which will deliver handmade candles in exquisite porcelain containers made by Provencal artisan Valeria Casado to your door six times a year. Luxe Provence's Mediterranean Gold service starts at $700 for a bi-annual subscription, the Artisanal Candle subscription costs $834 for six-yearly deliveries. Annual summer superyacht charter not quite enough to help you get your fill of the Med? High-end service Luxe Provence promises to bring you the best of the Mediterranean with its two subscription packages. The first, Mediterranean Gold, is available quarterly or biannually and includes a piece from Luxe Provence's own holiday-ready clothing line alongside luxury beauty products, accessories, homewares and produce all hailing from the Mediterranean coast. 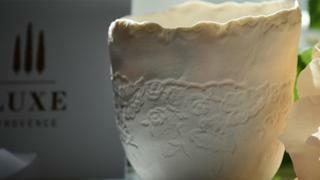 Alternatively, opt for the artisanal candle subscription service which will deliver handmade candles in exquisite porcelain containers made by Provencal artisan Valeria Casado to your door six times a year. Luxe Provence's Mediterranean Gold service starts at $700 for a bi-annual subscription, the Artisanal Candle subscription costs $834 for six-yearly deliveries.